Cycle chemistry is of vital importance in power plants of all types, and the key to cycle chemistry efficiency is tight pH control. 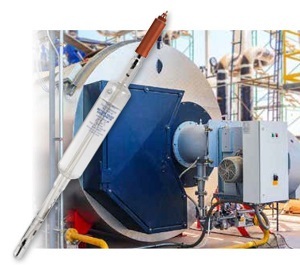 Accurate, continuous pure water monitoring can greatly reduce expensive unplanned maintenance and downtime by providing greater control or prevention of scaling and corrosive conditions within water systems. 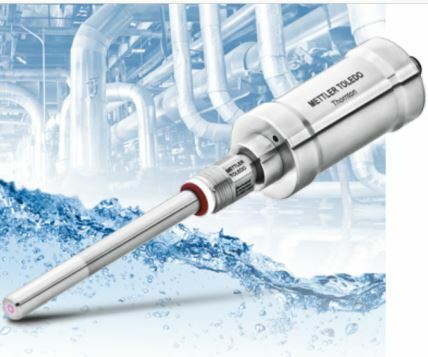 METTLER TOLEDO Thornton pHure Sensor™ electrodes are an advanced design, single probe pH sensor resulting in rapid sensor responses that reduce the need for maintenance and simplify sensor calibration processes. All pHure sensors and transmitters conform to ASTM Standard D5128 Test Method for On-Line pH Measurement of Water of Low Conductivity, and feature air tight housing seals that prevent contamination by the surrounding atmosphere. 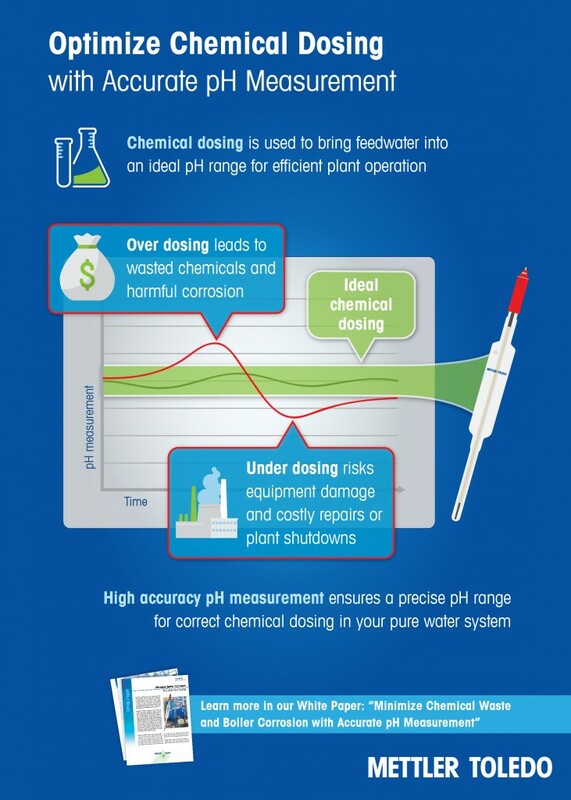 METTLER TOLEDO Thornton also offers the capability to calculate pH based on specific and cation conductivity measurements under normal cycle chemistry operating conditions. 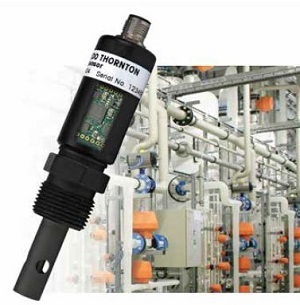 As specific and cation conductivity are also required measurements, there is no additional cost associated with the calculated pH value, and all measurements and calculations can be achieved on a single M800 Water transmitter. METTLER TOLEDO is the leading supplier of quality weighing and measuring solutions. The organisation is the world’s largest manufacturer of weighing technologies for use in laboratory, industrial and food retailing environments. METTLER TOLEDO also holds key market positions for various analytical instruments and is a principal provider of automated chemistry systems, used in the discovery and development of new drugs and chemical compounds. In addition, METTLER TOLEDO is also the world’s largest manufacturer of metal detection and X-ray product inspection technologies, for use in the production and packaging sectors. The business maintains a premier position in many in-line process monitoring applications. From its headquarters in Leicester, METTLER TOLEDO offers product, technical and application expertise as well as comprehensive service, support and calibration capabilities. To use this press release and to request a high resolution image or for further information please contact Steven Hodges on 0116 234 5088 or email Steven.Hodges@mt.com.